History is a record of the past – sculptured by omissions, interlarded with distortions, brazen lies and innocent befuddlement – forming an amalgam that's often stubbornly resistant to analysis. For the sheer scale and persistence of its inaccuracies, few of history's mistold tales could match the mix-ups associated with a certain Christopher Columbus. 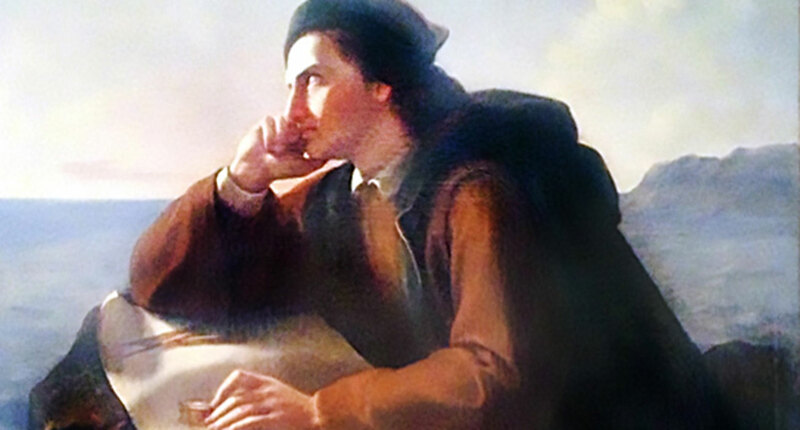 Christopher Columbus was itself the garbled misinterpretation of the pseudonym, Cristóbal Colón. How the mistranslation took root and flourished is a complicated story in itself. As early as May, 1493, materials printed in Rome corrupted the surname. A century later, documents were faked by one of several Genoese pretenders to the Admiral's bitterly contested estate, and – despite their being judged fraudulent by the Spanish courts – subsequently gained a credibility that's still in force today. A case can now be made that the birthplace and parentage of Cristóbal Colón have been reliably identified. 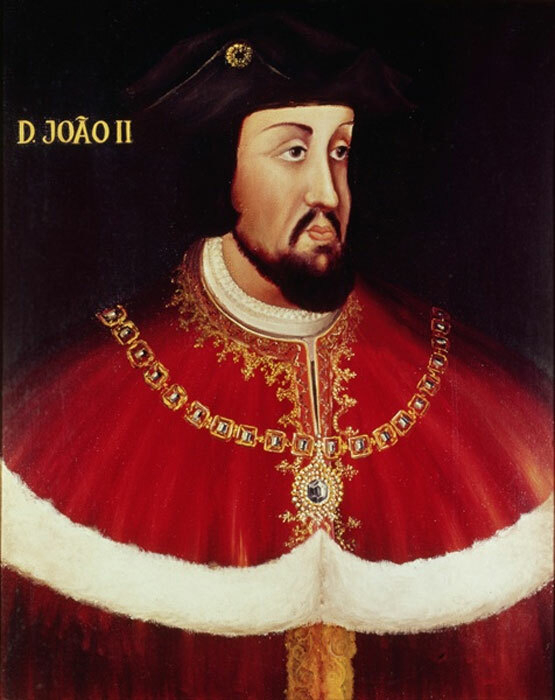 Enough of the context has been established at least to demonstrate that Colón was, beyond question, a Portuguese nobleman of very high standing. His true role and identity cannot be understood apart from their historic setting – above all because his role in that setting was so momentous. The portrait of Columbus by Sebastiano del Piombo is recognized as such around the world. But no less an authority than the Metropolitan Museum of Art in New York has downgraded its identity from "Columbus" to merely, the "Portrait of a man." 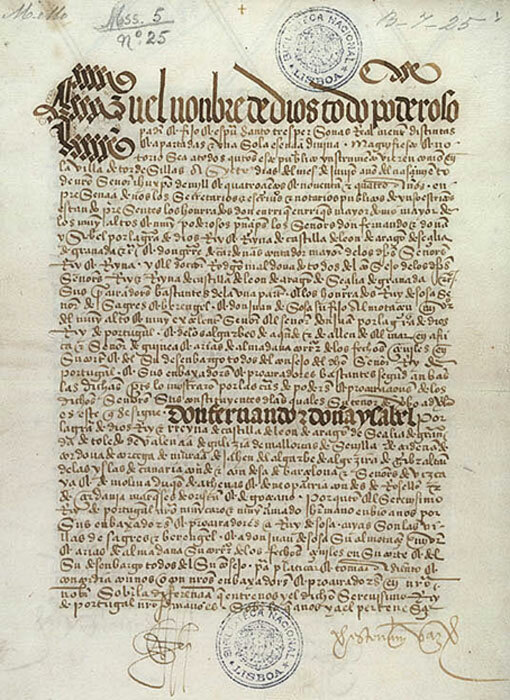 A special, limited edition – including abundant, new material, now appearing for the first time in English – was released on May 20, 2016, to commemorate the 510th anniversary of Colón's death. While supplies last, Columbus: The Untold Story, by Manuel Rosa. Davidson, Miles. Columbus Then and Now: A Life Reexamined. Norman: University of Oklahoma Press, 1997. Rosa, Manuel and Eric Steele. O Mistério Colombo Revelado. Lisbon: Ésquilo, 2006. Rosa, Manuel. Columbus: The Untold Story. Garfield: Outwater Media Group, 2016.